Daphne’s work consists of original limited edition prints, hand drawn and printed on an etching press, sometimes using drypoint on acrylic plate or etched on metal plate. The use of collagraph, a form of relief printing, enhances the image. Her works are stimulated by an emotional reaction to her environment especially the landscape. 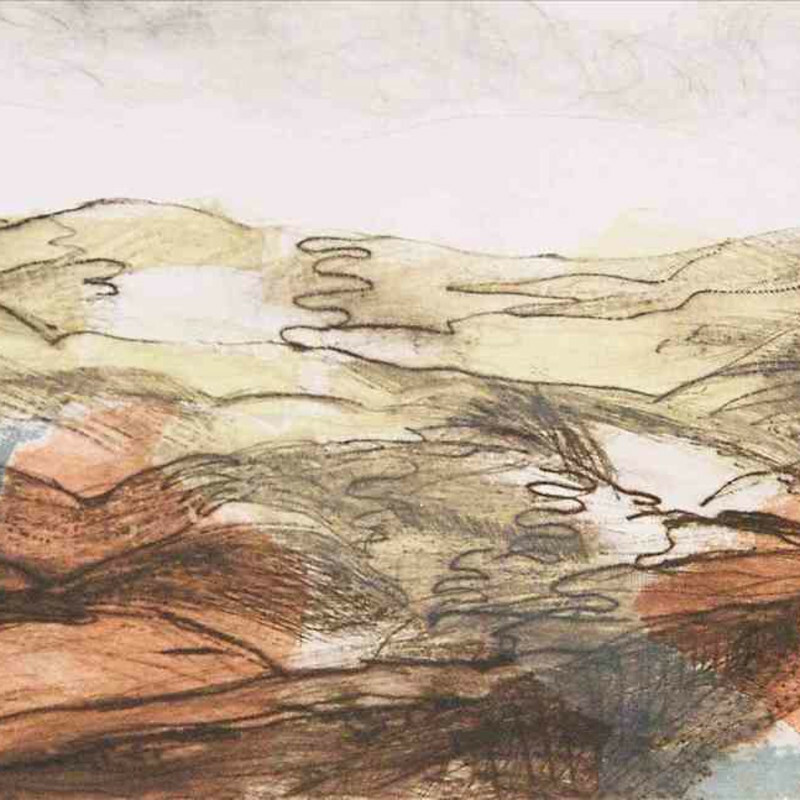 Her prints are an extension of her paintings using limited colour with strong textural qualities. At present she is exploring the possibilities of figure drawing into print.